Taxi Lévis meets your transportation needs. 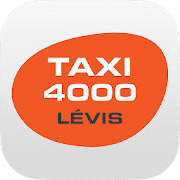 TAXI LÉVIS has been in existence for 30 years. We offer short and long distance taxi services throughout Lévis, including Charny, Saint-Nicolas, Saint-Romuald, Pintendre and Saint-Jean-Chrysostome. We also serve the Bellechasse Regional County Municipality (Beaumont, Sainte-Claire, Saint-Anselme...) and New-Beauce (Sainte-Marie and the surrounding areas). Hire us for station and airport transfers. We guarantee a friendly service that will meet your needs. Our fleet of thirty vehicles allows us to meet all your transport needs. We also offer paratransit and parcel delivery services. Available at any time, we can respond to any drive-home request. Are you a hotel or a restaurant manager? You will love our Valet Taxi service! It allows you to book multiple taxis at once, track the status of your taxi orders in real time and notify your customers when the driver arrives. Hire our personalized drive-home service, especially after a party. We have been our services to individuals and businesses (hotels, restaurants...) since 1988. We also provide jump-start and car door unlocking services. We guarantee a personalized, fast and friendly service. We are available 24 hours a day all year round. Do not hesitate to contact us for your private or business transport needs.